Fireactiv Elbow Support With Deep Heat Therapy. 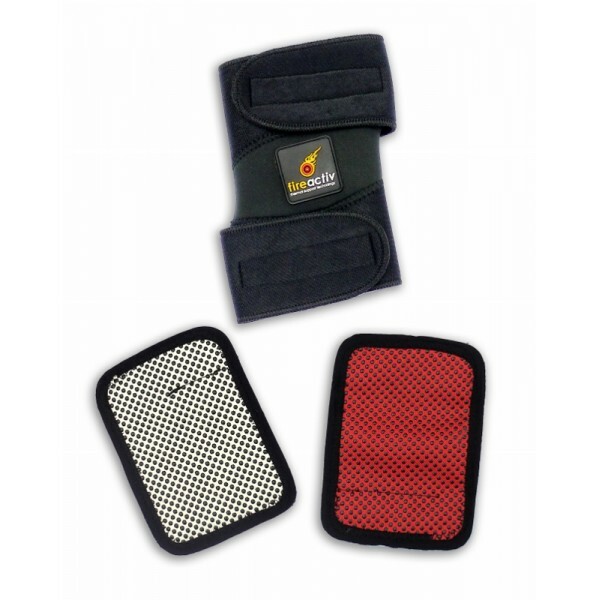 The Fireactiv® elbow support is a variable compression device with 2 stage deep heat therapy. The adjustable Velcro fastening strap helps provide variable stabilization around the entire elbow joint. It can be used to help reduce the pain experienced from repetitive sports injuries such as tennis and golfer’s elbow by reducing excessive movements at the inner and outer aspects of the joint. The heat therapy helps relieve muscular aches and general joint stiffness as with osteoarthritis and rheumatoid arthritis. The support can also be used in recovery and can help with rehabilitation following surgery, trauma or injury.